Can I ask for different colours on this design? YES! Can I ask for a different background - even a patterned or photographic one - for this design? YES! Can I ask for the wording to be changed on this design? YES! Can I change the style of the wording on this design to that of another design on your website that I prefer? YES! Can I send in a photo to add to this design? YES! Most designs can have a photo overlaid or added to them. Do you send me a sample of what it will look like before I have to pay? YES! We'll send that to you via email once your design has been completed. 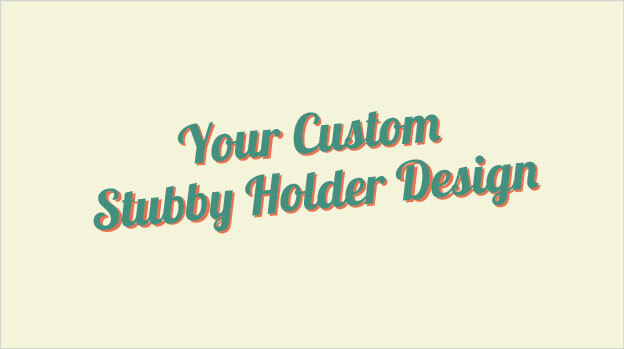 How quickly can you make my stubby holders? VERY QUICKLY! We even have a 24hr service if you need it.